There is nothing slow about Lori’s hot brand new, never-before-released story, Slow Ride. It’s book 2 in the Road to Love series, and it’s finally here! “Olivia started toward him with her determined, long-legged, graceful stride and all he could think of was what a beautiful baby they could create together.” Say what? Scandalized!, a Lori classic novella, has been reissued in ebook format with a new cover. If it isn’t already in your collection, read an excerpt and order your copy today. Check out Lori’s other ebooks – there are so many to choose from! 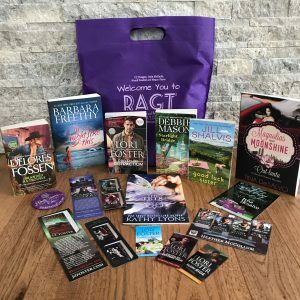 For #ThankfulThursday we have a goody bag filled with a variety of fun author swag + books by Tessa Bailey, Brynn Kelly, Barbara Freethy & an autographed copy of Lori’s book, Treat Her Right, recently reissued in paperback for the first time. If you LIKE Lori’s Facebook page, you’re already entered to win! One random winner will be drawn from Lori’s LIKEs at 8am EST, Friday, March 8. Slow Ride – Best Book of the Month! Read the full excerpt and pre-order today in your favorite format, so you can keep reading when the book is published! Want some heat? Get ready for summer with Lori’s classic digital novella, Ready, Set, Jett!, which has been reissued with a bright new, oh-my cover, available June 10. Haven’t yet read the Men Who Walk the Edge of Honor series? Start with this excerpt, the pre-order your copy today! 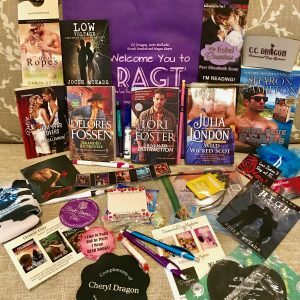 If you LIKE Lori’s Facebook page, you’re already entered to win! One random winner will be drawn from Lori’s LIKEs at 8am EST, Friday, March 1. Print lovers rejoice! Lori’s classic anthology Truth or Dare is being reissued in mass market paperback with a new cover, and you can get it on August 27. If this anthology is new to you, head on over to check out the cover and pre-order your copy now. Four of Lori’s audiobooks are on sale at Audible for only $6.95 – 7.95 for a limited time through February 24 if you are an Audible member. Enjoy Don’t Tempt Me, book 1 in the Guthrie Brothers series, Under Pressure, book 1 in the Body Armor series, Run the Risk, book 1 in the Love Undercover series, and When You Dare, book 1 in the Men Who Walk the Edge of Honor series – grab them at this deep discount before the sale ends! 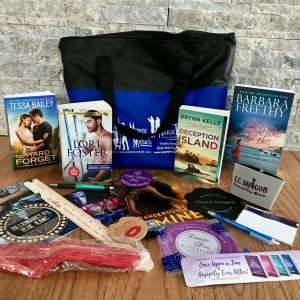 For #ThankfulThursday we have an #RAGT 2018 goody bag filled with a variety of fun author swag + books by Delores Fossen, Barbara Freethy, Debbie Mason, Jill Shalvis, Tina DeSalvo & an autographed copy of Lori’s newest book, Driven to Distraction. 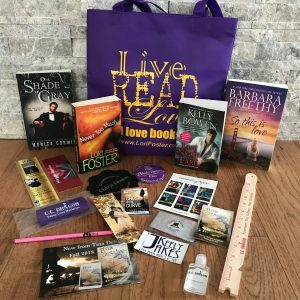 If you LIKE Lori’s Facebook page, you’re already entered to win! One random winner will be drawn from Lori’s LIKEs at 8am EST, Friday, February 15.